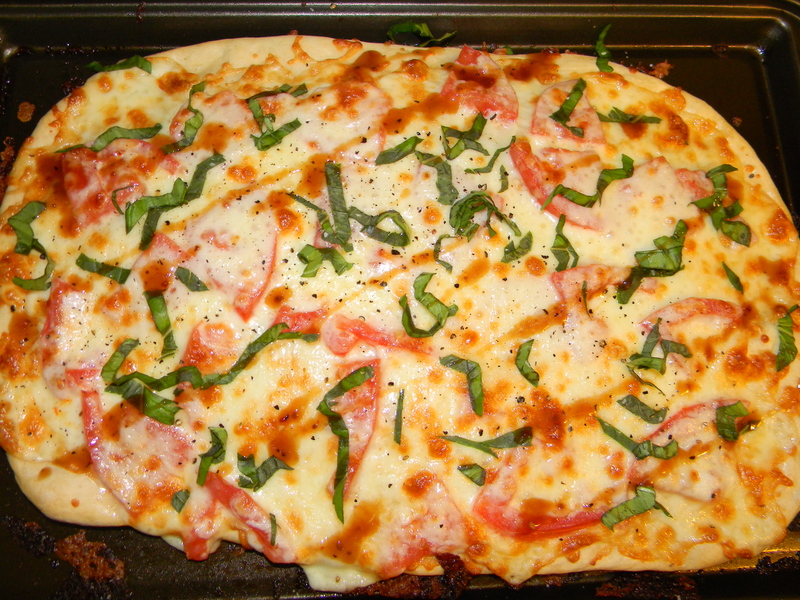 Quick Pizza Margherita — I <3 #CookingLightDiet! Quick Pizza Margherita. Tomatoes, mozzarella (wish I’d had fresh), fresh basil, and a drizzle of balsamic vinaigrette on a straight-from-the-grocery-deli crust. Come. To. Mama. My favorite pizza in the whole world and this looks so easy. Summer is coming–fresh tomatoes and basil too. Thanks. Yes! I used Florida tomatoes from my produce stand that were ok…if they had not been cooked, probably wouldn’t have been as good. Basil was from the gro and I was just glad they had some…often, they’re out. I just started my own basil seedlings, as well as tomatoes and they are going nuts! Can’t wait to put them in the ground!